Founder and director of Youth-Fit Camp, a motivational and leadership camp for teens and young adults. Do you sometimes wonder what is worth doing? Do you lack self-confidence, or have a difficult time making decisions? Do you ever have a tough time feeling a sense of purpose and belonging, or feel that the demands and expectations by parents and school are theirs … but not yours? Do you sometimes have fear of failure, or fear that you don’t know how to deal with bullying behavior from others? It doesn’t have to be that way! I know—because all of the above were once true for me. I wandered through my first 18 years of life without actually feeling that I was in control of anything. I wasn’t a good student, my home life left a lot to be desired, and I spent a lot of time being frustrated. I was going through the motions, not really feeling directed, not really having focus on being the best I could be. I was not disciplined toward purpose-driven goals. Then I was introduced to the gym and everything changed. The gym taught me discipline, which led me to think about my life and to set goals. As a result, I went from just aimlessly hanging out to launching my very first business at the age of twenty-one, to becoming a world-class body builder and eventually to running a very successful business. Looking back on those early days, I often wish I had caught on sooner to the simple but powerful equation of success. set and achieve goals that matter. 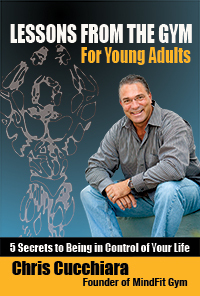 A dedicated entrepreneur for thirty years, a former world-class body builder, and nationally recognized expert in both the fitness and nutrition industries, Chris Cucchiara coaches and mentors high achievers in the areas of business leadership and human development who want to move from ambition and achievement to meaning and purpose. His Mind-Fit teaching philosophy has positively influenced thousands. 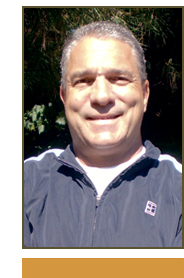 He is founder and director of Chris Cucchiara’s Youth-Fit Camp, a motivational and leadership camp for teens and young adults.